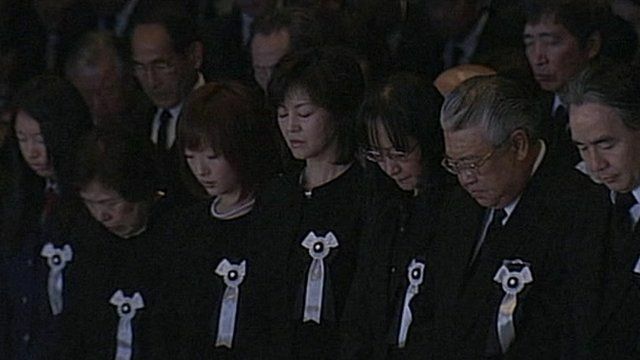 The moment Japan was struck by the biggest earthquake it has ever experienced has been marked by a minute's silence during a memorial service in Tokyo. The earthquake hit at 14:46 local time (05:46 GMT) about 400km (250 miles) north-east of Tokyo on 11 March 2011. More than 15,800 lives were lost in the twin disasters, and more than 3,000 people remain unaccounted for.